Look for Jason from Artisan Beverage Cooperative tomorrow! 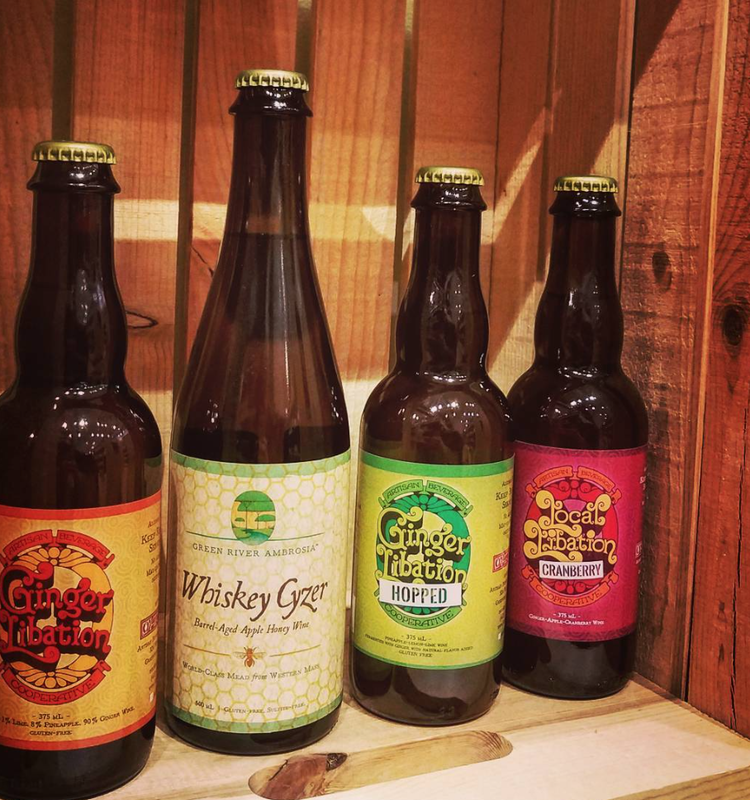 He'll be at the shop from 5-7PM and have tastes of Green River Ambrosia mead brewed with raw, local honey and Ginger Libation ginger beer brewed with organic, fair-trade, direct-trade ingredients. Ginger Libation is the original pre-prohibition, Jamaican-style Ginger Beer, with tons of spice and all organic ingredients including Costa Rican pineapple juice, lemon, lime, cane sugar, and of course lots of fresh ginger. Cranberry Libation is a local twist on Ginger Libation, and brewed using all Massachusetts-grown ingredients including Bluewater Farms cranberries, and ginger from Old Friends Farm. The Citra Hopped Ginger Libation is juicy, hoppy and spicy, and doesn't feel like 9% at all! Easy drinking and a great football brew! Green River Ambrosia makes award-winning mead with apples from Pioneer Valley and fermented with local, late season, wildflower honey. Their Whiskey Cyzer has been aged in Bully Boy whiskey barrels. What would Salem be without its love of mead? !